ShockEater® is proud to announce that Wild Hare™ shooting vests and jackets are now equipped with an internal shoulder pocket specifically designed to accommodate the ShockEater® Recoil Pad. Over the past 25 years, Wild Hare™ has evolved into a leader in innovative shooting gear and accessories, continuously refining its product lines to meet the needs of the worlds best shooters. The combination of Wild Hare’s reputation for producing the highest quality gear and the superior recoil absorbing capabilities of our ShockEater® technology made for a natural fit. Both products will be presented in tandem at the 2015 SHOT Show in Las Vegas, NV. 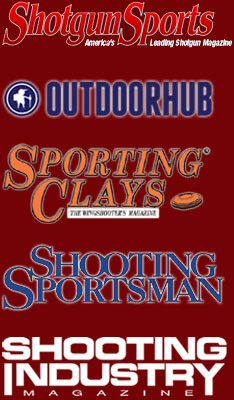 Wild Hare™ apparel and ShockEater® Recoil Pad available at www.GampSports.com.